Booked a surprise 40th bday trip thru expedia for my boyfriend this year-his bday falls just a couple days before Valentines day so everything was pretty full with regards to rooms and bookings. I booked for Feb. for 4 nights-Thurs thru Sun. We checked in at 6:30 pm on Thursday. We did not target a particular clerk-just went to the next one available-which was a younger lady clerk. We began chatting and I handed her the $40 sandwich. She took the $40 out and set it on the edge of the raised counter-closest to her-never saying a word about it. At this point I was thinking that the whole thing was a fail. I then asked if our room had a strip view? I explained that I had requested this but saw that we had a run of the house king. She asked if we would be ok with a queen? If so she would be able to give us a comp upgrade to a much better room? We said sure-sounds great! She handed us our keys & off we went. It wasn’t until we were on our way to the elevators that I realized she had upgraded us to a grand queen room on the 28th floor with a beautiful strip view. She never did say a word about that $ that was just sitting there, so neither did we. When we left the desk for our room, we just left it (it was very close to her on the counter) and I’m sure she swiped it up. Im thinking there may have been a couple reasons she did that with the $. One: she was testing us to make sure that the $ wasn’t accidentally placed there between the cards somehow. Setting it there like that gave us the chance to grab it back if it was done by accident. 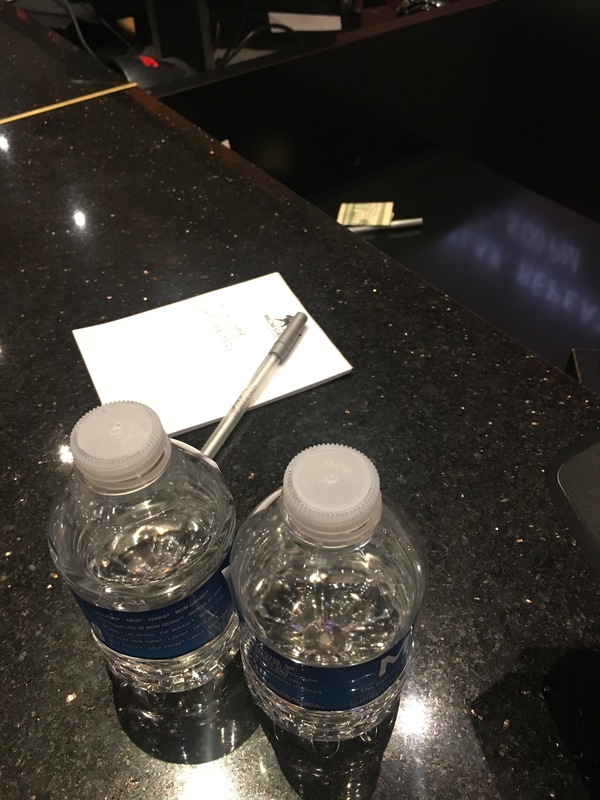 Two: I think the clerks there are allowed to take tips (for excellent customer service of course) but not bribes/tips while in the act of booking the room. I think it was a combo of two reasons above that she did it this way but either way-this sandwich worked. We went from a West Wing (ahhh the horror) King on the 10th floor to a Grand Queen on the 28th floor in the tower w/a beautiful strip view. Keep in mind too that this was Valentines weekend. Valentine’s falls on a Wednesday this year so everybody was taking their trips this Weekend during our stay. With that in mind-$40 bucks still got us a decent upgrade-worth Atleast $220 had we booked the grand queen. I can only imagine if we checked in for a Sun-Thurs trip, on a non holiday and tried $100 sandwich-which is EXACTLY what I will do next time. I was so nervous to try this-I had never done this before and I gotta tell ya-this was empowering and I won’t ever check in without doing this in the future. Thanks for all the other shared stories on here guys! They really helped me get up the nerve to try it & so glad I did. *Also- I purposely wasn’t super descriptive of the front desk clerk that assisted us. They can get fired for this sort of thing from my understanding but what I will say is that this particular clerk (or Atleast her description type) has been mentioned thruout reviews on here for mgm grand. It was early evening about 7pm when we arrived. We were a party of 8 and all checked in all 4 rooms together. We each slipped in $50 between our id and credit card and asked if there were any complimentary upgrades. She said let me have a look , Put us all in the grand tower with strip views. And she said is the tip for her and we all said yes. We stayed for 6 nights. We did ask for a breakfast voucher or can she do something on restore fees but she said she couldn’t. Best $50 spent in Vegas ! Will definitely try it again. My wife’s best friend was having a milestone birthday and we booked a week at an all inclusive Cancun resort, however, due to hurricane season the weather turned out to be awful and we cancelled our trip to Mexico and booked a shorter stay in Las Vegas. We arrived at MGM around 4pm on a Monday afternoon and there was a fairly short check in line ahead of us. I didn’t target any specific desk clerk and was directed to a mid 30s male behind the counter. I told him we had two rooms booked with another couple and slid the sandwiched bill to him, briefly explained the Mexico trip cancellation and said “I was wondering if you have any complimentary EPIC upgrades for us that would put us in the penthouse and make you a hero to the birthday girl.” He took the sandwich and said let me see what’s available. I responded by saying “I’m hoping that since we are here for 3 week nights there’s something awesome available.” He confirmed we were checking out on Thursday morning and said “I think you’ll be happy with this room, it’s high and has a nice view of the strip.” We got our keys and headed to the room. He upgraded us from two separate standard queen rooms to a 1500 square foot marquee suite with to separate king bedrooms, two 5 piece bathrooms, floor to ceiling windows with automated curtains, 4 TVs, and a wet bar. 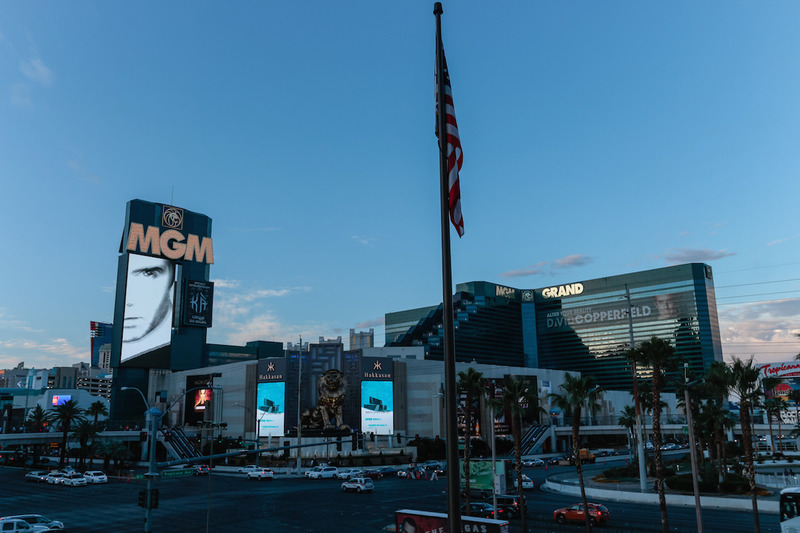 The view of the strip was great and for $16 dollars per night per couple we upgraded from a $185 dollar room to a $600 dollar a night suite. All told, between the two couples we got an awesome upgrade for $50 each and saved over $700 by the time you figure in resort fees and taxes. Yes, I paid more than $20 but with 2 couples I felt it was worth it and we got a smoking deal, well worth the $100. This was my first time trying the trick and I’ll surely do it again next time we go. We had booked the West Wing King Room with the hopes of dropping $100 to get a better room. We checked-in around 3pm and the lines were long, didn’t have a choice, ended up with a guy in his 30’s. Slipped him the $100, and asked about upgrades. He typed for a couple minutes then handed it back and said there was nothing he could do. Not headed back to MGM any time soon, the West Wing is horrible. Gave the the 20$ Sandwich. The lady looked at me funny and gave the 20 back. She then asked if I would like to pay for an upgrade. Me and my friend approached a new counter which had only opened for a few moments. 2 Couples infront of me got checked in then I approached the desk. The lady seemed nice, I’d say around late 20’s, Black, 5″5ft, Curly shoulder length hair. I said we are here to check in and gave both my passport, credit card, booking information and $40.00 in my passport sticking out. She bagan typing away and looked and smiled at me, I thought yes I’m in! I asked if there was a chance of a complimentary upgrade to which she said yes there would be, she typed away and said there is a suite for only $27.00 extra per night, I again said again any complimentary upgrades to which she said no she could not do that and handed by my $40.00.